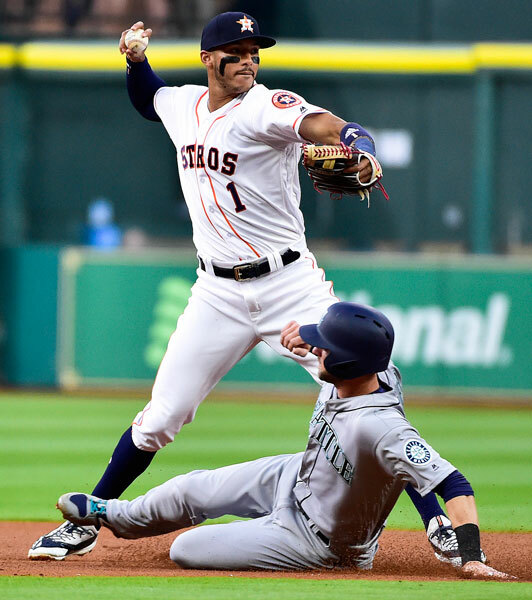 HOUSTON -- After going 1 for 27 with runners in scoring position through the first three games of the season, the Seattle Mariners were desperate to get a big hit when it mattered Thursday night. Instead of just one, they got two. 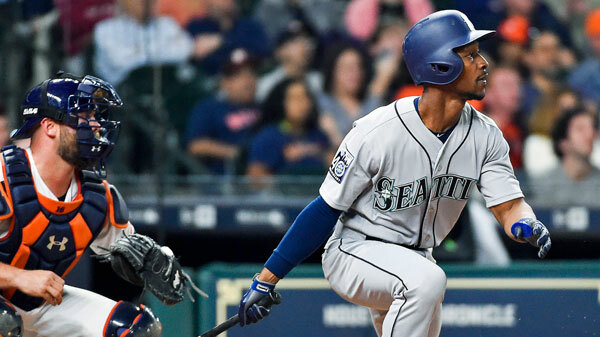 Jarrod Dyson hit a tiebreaking RBI single in the ninth inning and Jean Segura drove in a run later in the inning to lift the Mariners to a 4-2 victory over the Houston Astros. "It was good to get that hit," Dyson said. "It was even better to get the win." The game was tied at 2 entering the ninth before Danny Valencia walked with one out and Carlos Ruiz was plunked by Ken Giles (0-1). 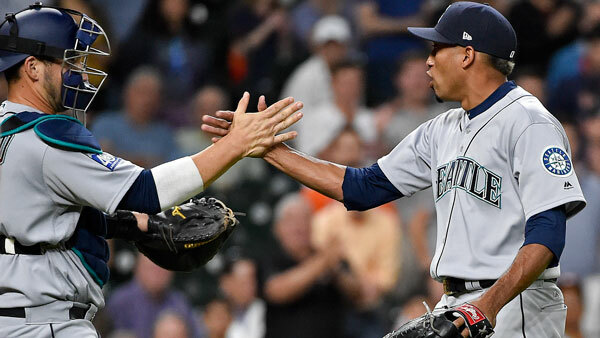 They were replaced by pinch-runners Taylor Motter and Guillermo Heredia before Dyson's fly ball landed between left fielder Nori Aoki and center fielder Jake Marisnick to allow Motter to score and put Seattle on top. Segura singled with two outs to send Heredia home for an insurance run that made it 4-2. "It has been a struggle for us getting the big hits driving some guys in," manager Scott Servais said. "We had some chances early in the game and were scuffling ... we were due to have a couple fall in." Dan Altavilla (1-0) pitched a scoreless eighth for the win, and Edwin Diaz struck out two in a perfect ninth for his first save. 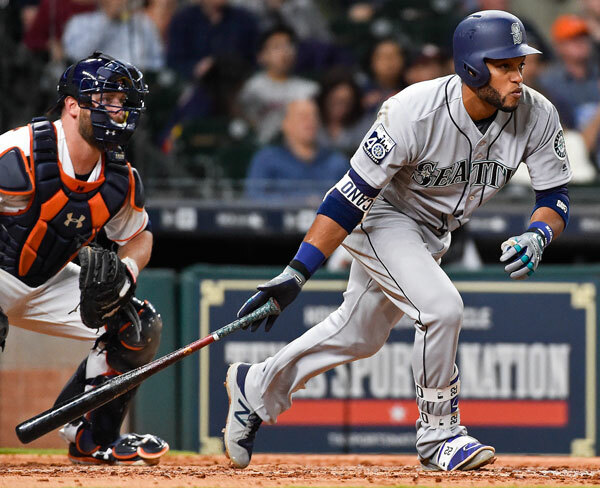 Mitch Haniger homered in the third and Kyle Seager's RBI tied it in the sixth to help the Mariners to their first win of the year after dropping the first three games of this series. 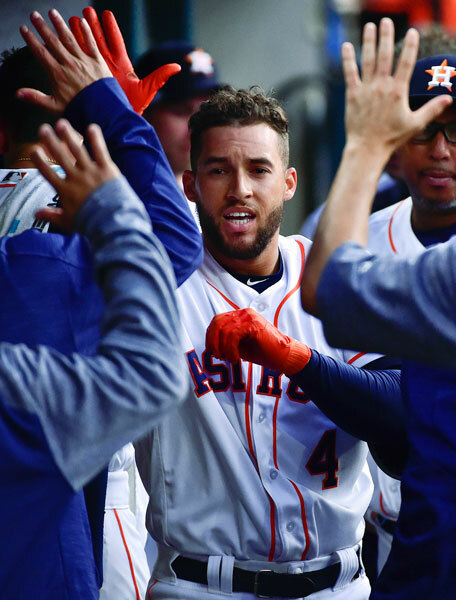 George Springer hit a leadoff homer for Houston, and Marwin Gonzalez added his second homer of the year with a solo shot in the third to put the Astros up 2-1, but they had trouble stringing hits together after that. "We haven't swung the bats perfectly but again you focus on the good stuff," manager A.J. Hinch said. "We won three out of four against a division opponent." Houston starter Joe Musgrove allowed five hits and two runs while walking three in five-plus innings. Ariel Miranda yielded five hits and two runs in five innings in his 11th major league start. Springer's 11th career leadoff homer gave Houston a 1-0 lead. 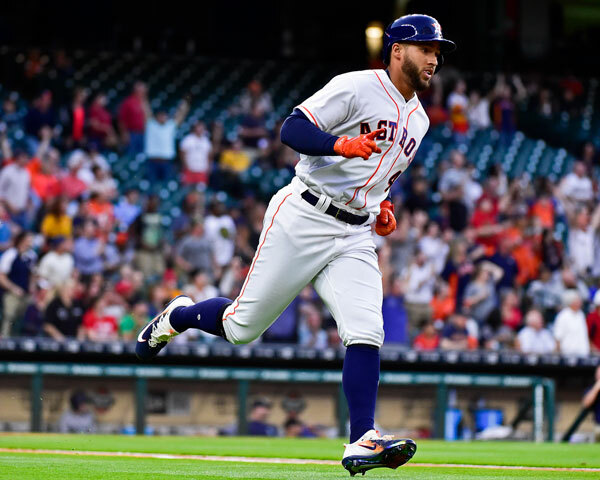 It was his second straight at-bat with a home run after his three-run shot with two outs and two strikes in the bottom of the 13th lifted the Astros to a 5-3 win on Wednesday night. The Mariners tied it in the third inning on Haniger's two-out homer. Gonzalez put Houston back on top when he sent Miranda's first pitch of the third inning into the seats in left field to make it 2-1. Springer also provided a defensive highlight on a foul ball hit by Jean Segura with two outs in the fifth inning. He chased it down the right field line, reached back into the crowd to catch it before tumbling backward over the wall and into the stands while holding onto it to end the inning. 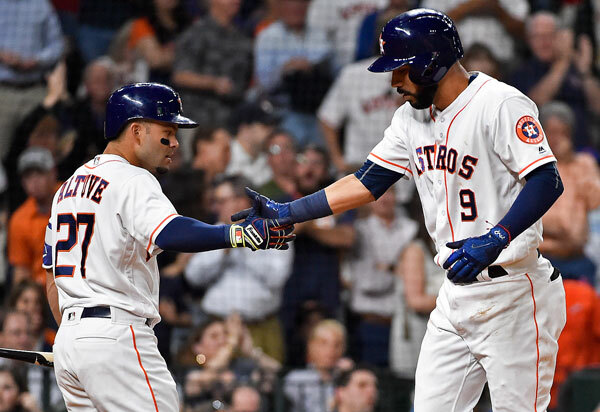 The Astros had a chance to extend their lead in the fifth inning when they had the bases loaded with no outs. But Jose Altuve grounded into a double play and Miranda retired Carlos Beltran after intentionally walking Carlos Correa. Astros: Houston starter Collin McHugh, who is on the 10-day disabled list after dealing with "dead arm" this spring, allowed three hits and three runs in one inning of a rehabilitation start for Triple-A Fresno on Thursday night. Dillon Overton, who was activated from the paternity list Thursday, managed to get his throwing in while he was away from the team for the birth of his first child this week. While waiting at the hospital for little Oliver Ray Overton to arrive he trudged out to the hospital parking lot and enlisted his brother-in-law and father-and-law to catch him. The left-handed reliever's workout caused a bit of a stir among those parking their cars. "There were lots of people," he said. "They didn't really say anything but they were just staring at me like: What the heck are you doing?' But let them think what they want, I had to do my work." 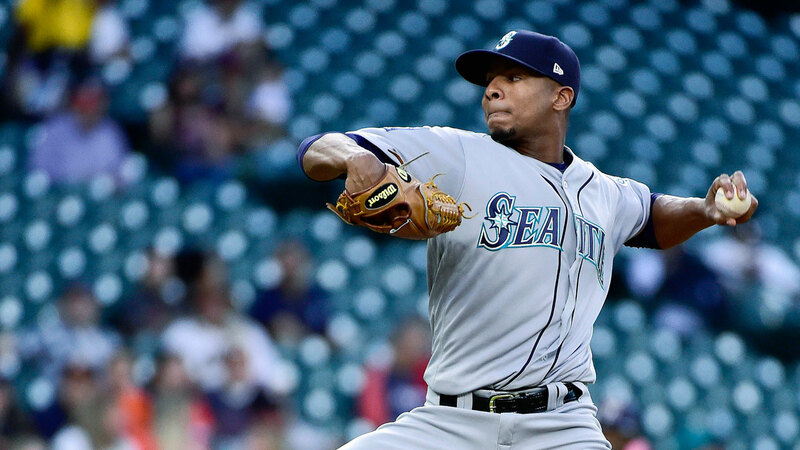 Mariners: Yovani Gallardo will make his Mariners debut when he opposes Jesse Chavez as Seattle starts a three-game series at the Los Angeles Angels on Friday. Gallardo went 6-8 with a 5.42 ERA in 23 starts for Baltimore in 2016. Astros: Right-hander Mike Fiers makes his 2017 debut when he opposes Kansas City's Jason Vargas when the Astros open a three-game series against the Royals on Friday. Fiers went 11-8 with a 4.48 ERA in 31 games last season.